If you change a field's name or options, this change applies to all users. Note: To change a field type, add a new field of the correct type and use hotkeys to copy the data from the existing field to the new field. Click the arrow to the right of the field header and select Edit Field from the drop-down menu that appears. 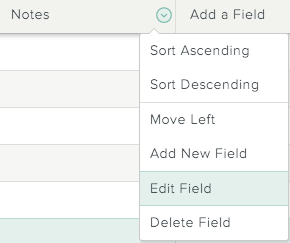 Note: If the Edit Field option doesn't appear, you can't edit this field. For example, you can't edit Intelligence Fields. On the Edit Field screen, you can change the field name and edit the field options. The options you can change depend on the field type. For example, if the field is a single select list, you can add more list options, and if the field is a number, you can change the date or number format. If you update multi select options, options are sorted in the order that they appear on the Edit Field screen. To reorder the multi select field options, select an option and drag it to the position in the list you want. 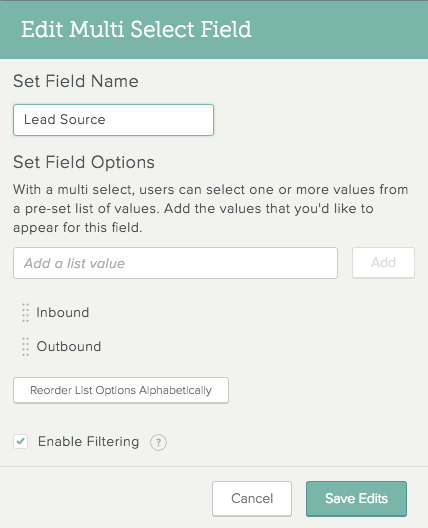 You can also click the button to reorder the options in your field alphabetically. 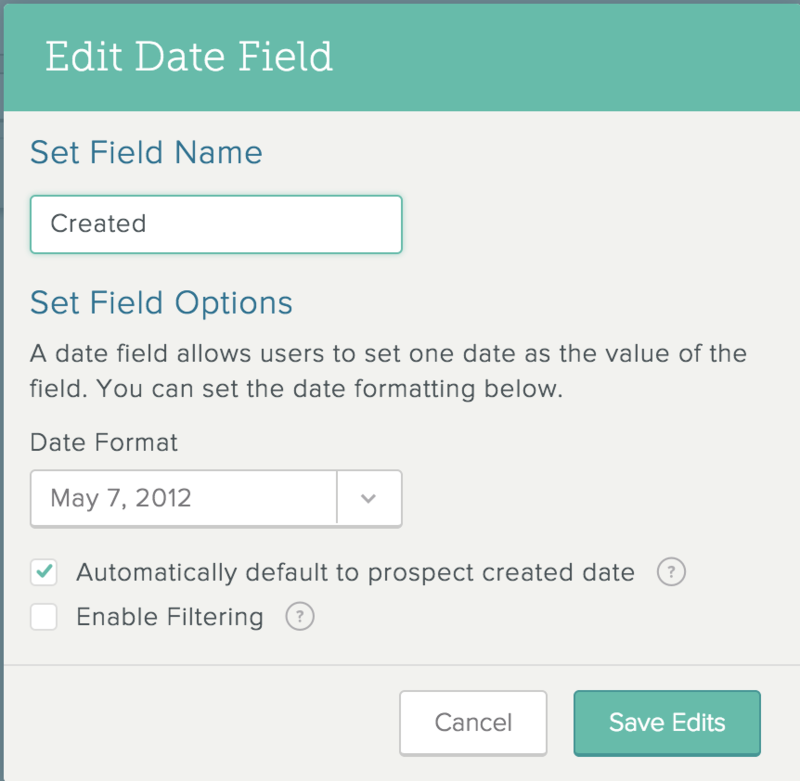 Note: You can also change how a field is set up from the Add a Field dialog. With the dialog open, hover over any field name, and then click .